When i got married my husband and I went on our honeymoon to Croatia. My in laws live there. My mother in law is an amazing cook and one day she introduced me to this gorgeous dish. 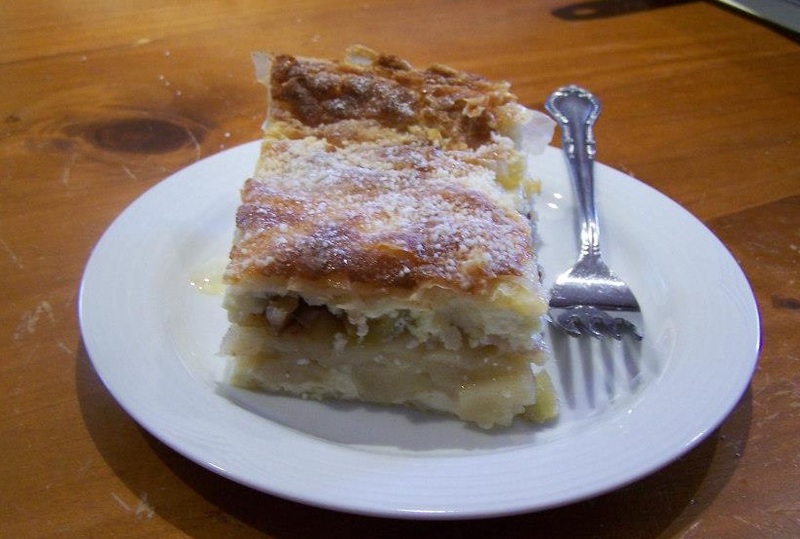 It is like an apple and ricotta strudel, only in a slice. This is a dessert that i serve when we have a light dinner. 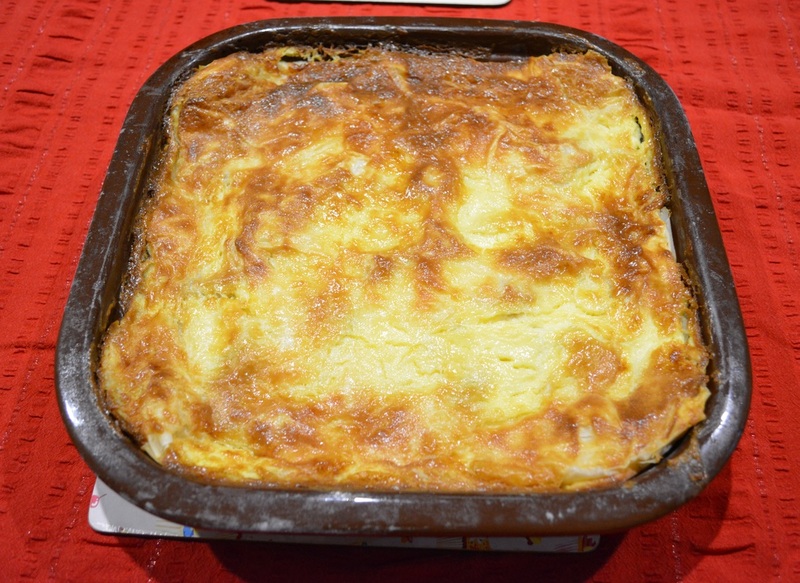 It can be served hot or at room temperature, it is loved by both my family and friends. 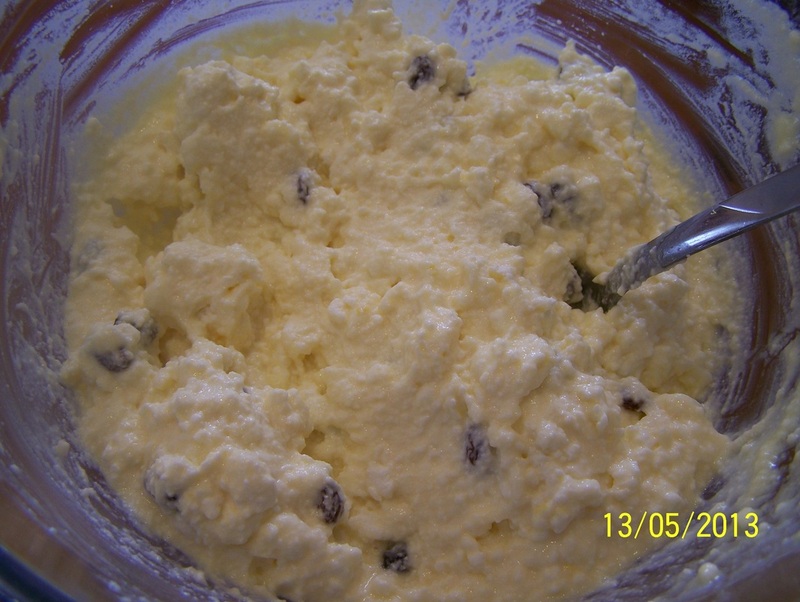 In a large bowl put the ricotta, eggs, lemon rind, salt, caster sugar, vanilla sugar and sultanas. Mix well to combine. 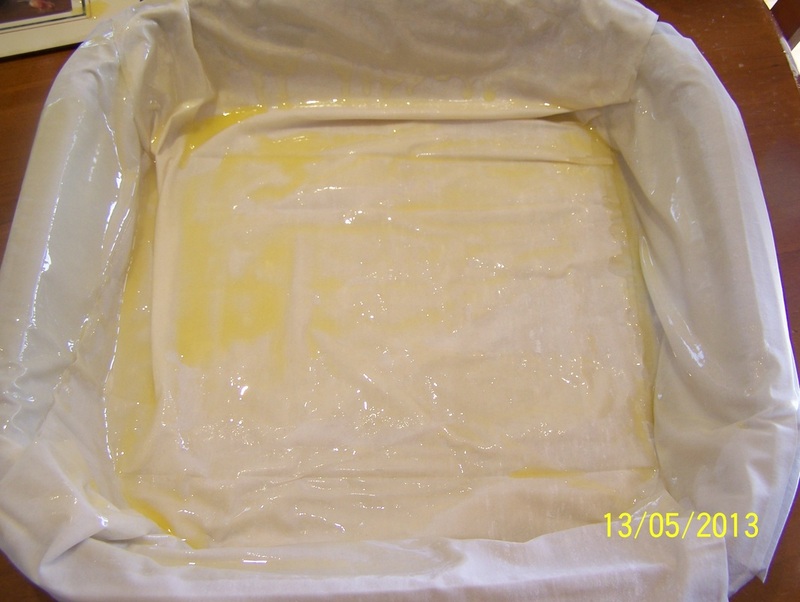 Grease a 30 x 30cm ovenproof dish with some of the melted butter. Place 2 sheets of filo pastry in the dish allowing the pastry to go up two opposite sides of the dish, brush with melted butter. Then place another two sheets of pastry in the dish so the pastry covers the other two opposite sides of the dish, brush with melted butter. 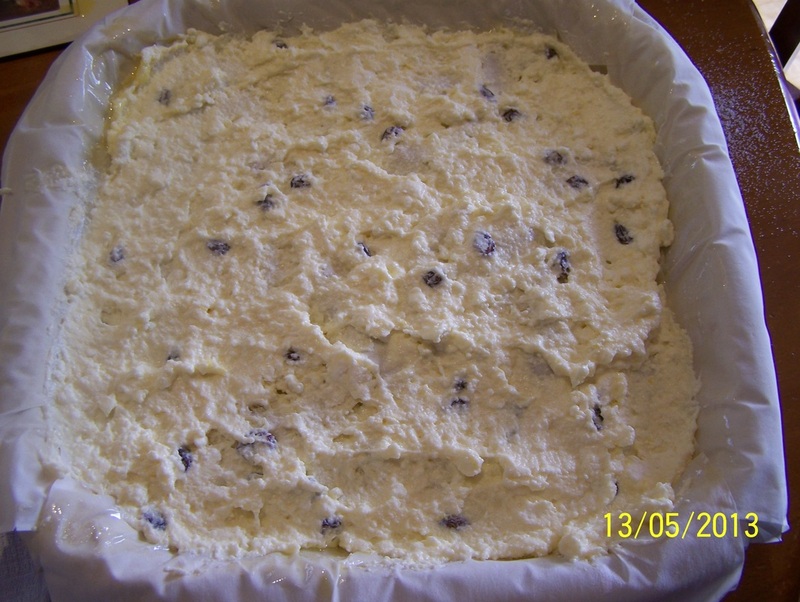 Put in half of the ricotta mixture, spread evenly. Place on two more sheets of filo pastry, this time fold the sheets so they don't go up the sides of the dish, but only cover the ricotta, brush with melted butter. 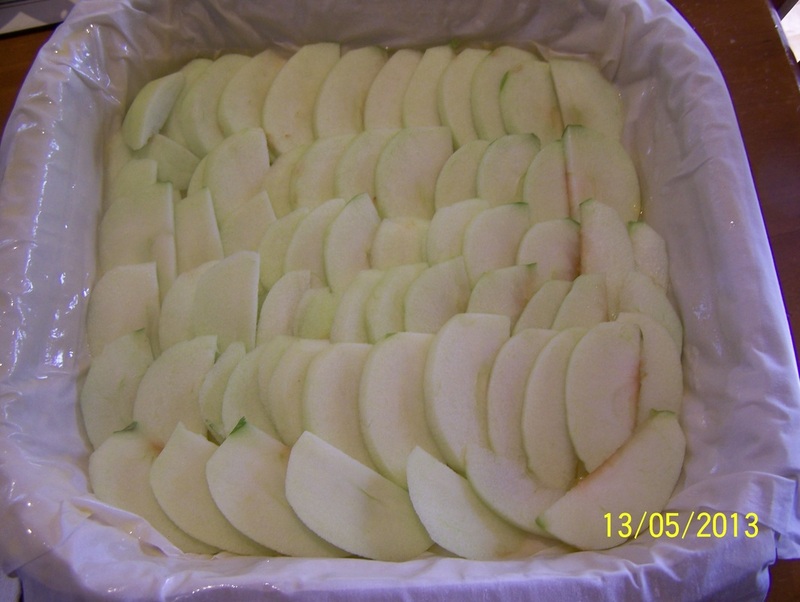 Arrange the sliced apples evenly over the filo, sprinkle with the extra caster sugar and cinnamon. 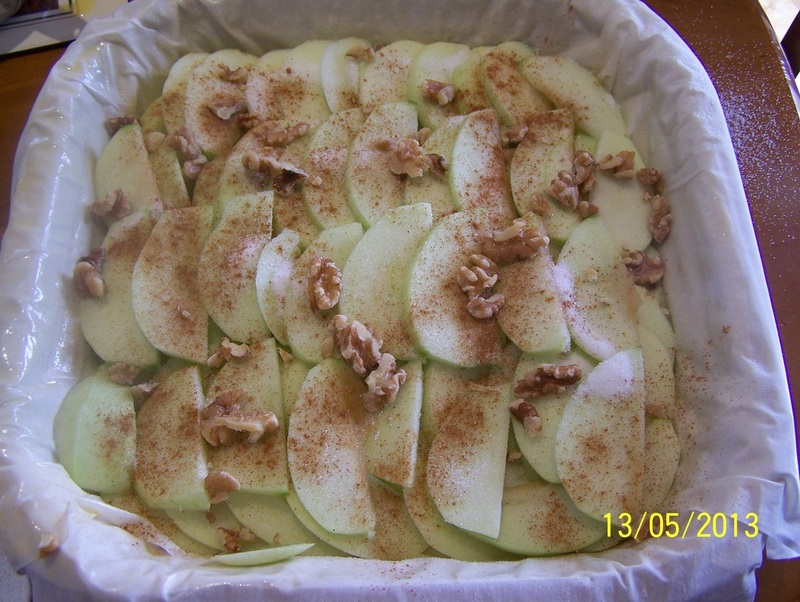 If using, scatter over the walnuts. Add two more sheets of filo pastry, fold over so it doesn't go up the sides of the dish, brush with melted butter. Place another two sheets of filo, fold filo on the other side, brush with melted butter. Spread the remaining ricotta evenly over the filo. Add three more filo sheets over the ricotta, fold over the filo that went over the sides of the dish. Add the remaining melted butter into the sour cream. 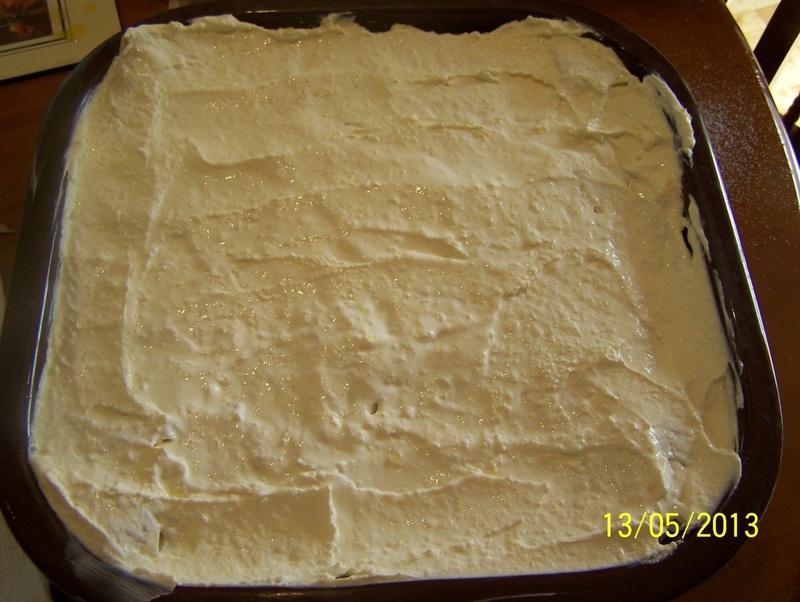 (You may not need to use all of the melted butter, just add enough to make the sour cream easier to spread, it needs some melted butter also to stop the sour cream cracking when baking). Spread the sour cream evenly over the filo. This can now be refrigerated for later use. Bake in the oven for 1 hour or until it gets a brown crust. 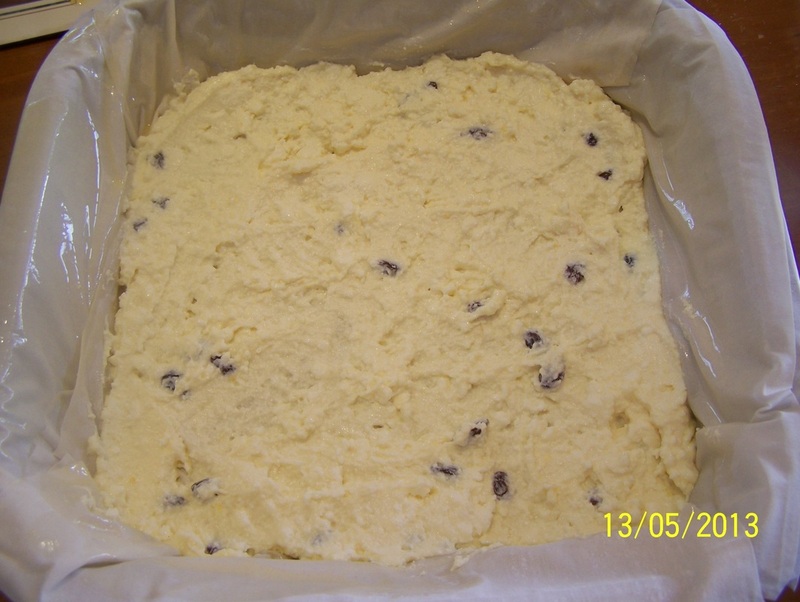 Leave the gibanica to rest in the oven for 1 hour before serving. You can sprinkle extra caster or icing sugar over the gibanica if you like it sweeter.